Dawn Harms, principal with Space Architectures LLC and Chairwoman Emeritus of the Space and Satellite Professionals International (SSPI), has joined the ManSat Group Board of Directors. Based in Los Angeles, Dawn holds a Bachelor of Science degree in Electrical Engineering from the University of Wisconsin-Madison and her early career included several engineering positions at Teledyne MEC, focusing on the design and development of key hardware used for satellite communications and electronic countermeasures. She spent 22 years with Ford Aerospace and Space System Loral (SSL), holding a number of leadership positions, including Vice President of Business Development for commercial satellites. Her contributions helped to establish SSL as an industry leader for large geostationary satellites. Most recently Dawn was Vice President of Global Sales and Marketing for Boeing’s commercial satellite division, responsible for sales, marketing, customer relations and strategic planning for communications satellites. Space Architecture LLC is a consultancy in the space and satellite sector, providing services to advance clients’ strategic and business development efforts. The SSPI is the industry’s largest professional networking organisation, with Dawn active within its Southern California Chapter. 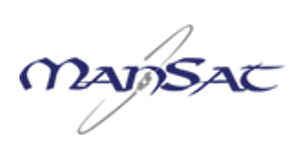 ManSat carries out satellite filings for the Isle of Man under a contract with the Isle of Man Government's Communications Commission. Dawn said that for more than 20 years, ManSat has filled an important niche in the satellite industry assisting operators and manufacturers in the acquisition of spectrum for their businesses. ManSat’s unique business proposition and specialized knowledge of the filing process has been helpful to her and her clients over the years and she is honored to be invited to serve on the ManSat board.